Like a lot of eight-year-olds, when Meg Garrison is mad at her parents, she occasionally threatens to run away. She even has a destination, says her father, Bill, a realtor in Seattle: “She says: ‘I’m running away ― to China!' ” In some ways, it is a typical childhood antic, but it is also a sign that she has started reckoning with her beginnings as an orphan in China. Meg is one of tens of thousands of children, most of them girls, adopted from China by US families in the last decade. They now make up the largest number of children adopted from a given country at any one time. In 2004, the number is set to rise even higher as China lifts a quota on foreign adoptions in an effort to relieve a backlog of applications. Inevitably, as these children grow up, they are beginning to look around and raise questions about why they were abandoned and how they came to be adopted, and wonder about their skin color and the shape of their noses. It can be a painful process of discovery, as foreign-born adoptees of past generations have found. But the sheer numbers of children adopted from China in a short period has created a virtual cottage industry in support groups, culture and language courses and books. Families of adopted Chinese children are deluged by catalogues selling clothing with Chinese accents. It all signals a shift in philosophy in the adoption community ― from one that presses for assimilation of their children to one that embraces a different culture. "The support network is unprecedented," says Ann Frechette, and anthropologist and expert on Chinese adoptions at Hamilton College in Clinton, N.Y.
Groups of families are organized through Internet listserves, adoption agencies and organizations like Families with Children from China. Some are groups of families that traveled together to China when they first went to get their Chinese babies. Families get together to celebrate Chinese holidays and the anniversary of their travel date. Some also send their children to Chinese language lessons and Chinese culture camps. Only part of the goal is to deal with race issues, Frechette says. It's also a natural affiliation. "Just as some people get together to play golf or tennis or to go to craft shows, these parents get together to celebrate China." The factors behind the spike in adoption from China trace to both sides of the Pacific. Chinese girls fill orphanages in a country that has tough birth control restrictions, and traditionally places a premium on boys. As many as 1 million children, most of them girls, are abandoned in China every year. While U.S. adoptions of foreign-born children have climbed in the past 15 years, the number from China soared. Meanwhile, there has been a surge among American couples to adopt from abroad. Most of them are white and tend to be wealthier, professional couples who can easily afford the cost of adopting from abroad ― upwards of $30,000 in the case of adoptions from China. Since the doors opened to adoption from China in 1989, more than 40,000 Chinese children have been adopted in the United States, about half of them in the last four years. How far American parents should go to embrace Chinese culture and language is an open question. Lynda Kommel and David Browne of Westport, Conn., have three children ― two biological and one adopted from China. For them, it's a balancing act. One of two part-time nannies is from China, and all three children, two of them 5 years old and one 3, study Chinese with a tutor for about half an hour a week. 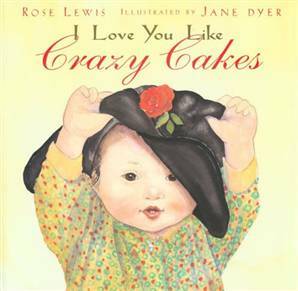 A favorite children's book among families with adopted children from China. "If they say they don’t want to study Chinese, we say they need to because there are a billion people in the world who speak it," says Kommel, who has an extensive academic and professional background in China. On the other hand, they don't want to cause rifts between between their adopted daughter and the biological son and daughter who themselves don't make any distinction so far. "We don't want to overemphasize it," says Kommel. For Paul Tumarkin and his wife, Joanna Norman, the adoption of two girls from China has "fundamentally changed the identity of our family," says Tumarkin. While the Tucson, Ariz., couple plan to raise their children ― now 3 years old and 16 months ― in their Jewish tradition, they also celebrate all the Chinese festivals and are learning about Chinese culture. "We are very conscious of the fact that our family is going to be a Jewish-Chinese-American family," he says. But there are issues down the road that he concedes are tough to think about. When he told someone that, yes, he was raising his children in the Jewish tradition, Tumarkin was told that the girls would be "every Jewish kid's ultimate fantasy." "That made my stomach turn for a second," he says. "There are these sexual stereotypes out there." But it's an ugly aspect of the world, and he isn't sure he wants to be the one to raise it with his girls. This is where more militant voices come in, arguing that even the most progressive parents may need to go further than they are to address racism and build racial identity. Some of the most outspoken advocates of this view are adopted Koreans, who make up the largest group from any single country ― a total of 140,000 since the post-Korean War period. 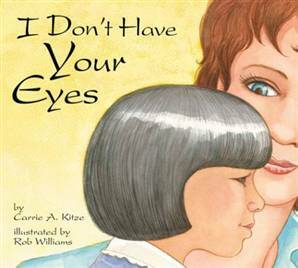 Until the 1980s, most U.S. adoptive families took a "colorblind" approach, doing their best to ignore racial issues and striving to help their children assimilate into predominantly white surroundings. The result for many was isolation, confusion and the sense that their adoptive parents, while well-meaning, didn't understand them. The author Jane Jeong Trenka is one of the more eloquent voices for this experience. Her memoir, "The Language of Blood," has become something of a guide on how not to handle transracial issues in adoption. Korean-born Trenka grew up in a conservative Christian home in lily-white northern Minnesota. She grew from a girl eagerly trying to be all-American, and all-Minnesotan, to an adult with a lot of questions, and no answers from her adoptive parents. She was forced to address racism at college, where she was stalked by an acquaintance with a fascination with her Asian heritage. When she went on a quest to meet her birth mother, it created a rift with her adoptive parents that persists to this day. One of dozens of new books aimed at addressing adopted children's questions about their families. "I think if you have a child who is of a different ethnic group ― and I am pretty militant on this ― you need to move to where there are others," Trenka says. Viewing the move by adoptive parents to form baby play groups and send adopted children to culture camps, she says: "It's got to be better than what I had, which is nothing." But she worries that it might be too superficial. "If people are in position of white privilege ... they may not realize how people will treat their daughters," says Trenka. Trenka's experience is not unique. Korean adoptees in New York City with similar backgrounds formed the group AKA ― Also Known As ― designed to help other adopted kids in transracial homes avoid their sense of isolation. Kristin Pak, 27, an AKA mentor, and has been involved in organizing activities for kids ages 5 to 16 since 2000. The mentorship program, she says, "is not so much about adoption. It’s more about having Asian-American role models." She grew up in a blue-collar town in Connecticut and never really knew another Asian until she went to college, she says. "There’s no reason for that, no matter where you live," she says. "My advice to parents is to expose your kids to as much as you can. ... I think it’s a great idea to have your children learn the language of their birth culture. ... As an adult, it’s never a detriment." Her advice to kids: "Have as many friends as you can who can understand what you are going through. … That way they have a support network when they grow up." The latest wave of adoptive parents is doing far better than in the days when strict assimilation was the norm, says Jane Brown, a social worker who has worked with adoptive families and children throughout her career. But she says most are still falling short of preparing their children for racism and cultural disconnects. For girls from China, coming of age is complicated further by the realization that their abandonment was likely related to the lower value placed on girls in Chinese society. "Some parents are grasping a little of this ― going to a Chinese restaurant, learning a few words, putting a few pieces of art on the wall. These are all wonderful things. But it’s not enough to give superficial trappings of a homeland," Brown says. "What children really need is to be with people of color ― people of the same race, or another race. Sometimes we need to give them those opportunities, and then pull back," she says. An example, she says, might be letting an adopted Chinese child go to with a Chinese-American family to the supermarket. "It's giving them a chance to connect with their ethnic community … and not just do these things with their adoptive community … and doing things that feel safe to the adoptive families. She holds "adoption playshops" around the United States and in Canada for foreign-born adoptees, aimed at helping the children take tough, sometimes uncomfortable questions head-on. She brings adoptive parents in contact with adult adoptees to help them understand what their children are going through. If the adoptive parents live in a rural, homogeneous area, the difficulties faced by adoptive children might be amplified. "(The parents) may have to make some very difficult choices ― can they move or shift work?" she asks, as a way of bringing their children into more diverse surroundings. Brown, who has eight children ― six adopted from abroad ― says that at an early age, children are faced with racist, intrusive and just plain rude questions, such as, "What did she cost?" Parents also need to face possible stereotyping of their Chinese daughters, says Brown. "One of the things that parents need to be prepared with is that they may be stalked, victimized. They need to realize the kinds of things that men may say to them. Need to be armed for that," says Brown. "It’s hard for people to hear that," she concedes. "But children are easily victimized if the are unprepared." Brown argues that adoption agencies should be qualified to assess not just whether applicants to adopt can provide for children, but whether they are "competent" to adopt transracially. She holds this view, even though such screening might slow down the rate of adoption and leave children in orphanages longer. The good news, says anthropologist Frechette, is that the families adopting from China are a force for change. "A lot of people adopting from China tend to be wealthier, better-educated and urban," she says, given that this profile is favored by China's adoption rules. "When they send their kids to homogenous schools, these parents get very frustrated, especially when they start grappling with history, government." History textbooks, for instance, may not even mention Chinese Americans in the battle over civil rights. "They are not not prepared for racism in America," Frechette says. But, she notes, these people are pressuring the schools to do things differently. "They are the kind of people who will take this on."